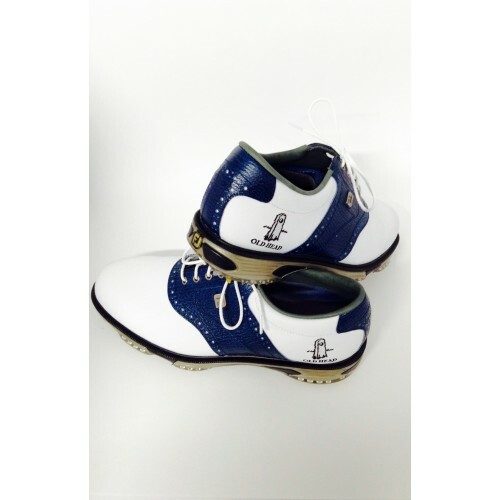 These Footjoy Dryjoy Tour Golf Men's Shoes are crafted with lace up fastening and a padded ankle collar for a locked in feel. They have a padded tongue and cushioned insole for comfort. These shoes are designed with a chunky sole and feature soft spike cleats. They are complete with Old Head branding.